2011 Colyer Herefords & Angus Annual Production Sale - Feb. 23 - Hereford & Angus bulls and females for sale. to the Thriller Group, $66,000. to Chris Frans and Don Moler, $28,000. to Brumley Farms, Split Butte Livestock, and Schohr Herefords, $19,000. to Rogan Farms, TN, $15,500. to Sonoma Mountain Herefords, $10,000. Lot 6 - C Thriller 1027 ET by UPS TCC Nitro 1ET to the Thriller Group, $66,000. Lot 35 - C The Dude 1111 ET by TH SHR 605 57G Bismarck 243R ET to Chris Frans, Thomas, OK, and Don Moler, Cheyenne, OK, $28,000. 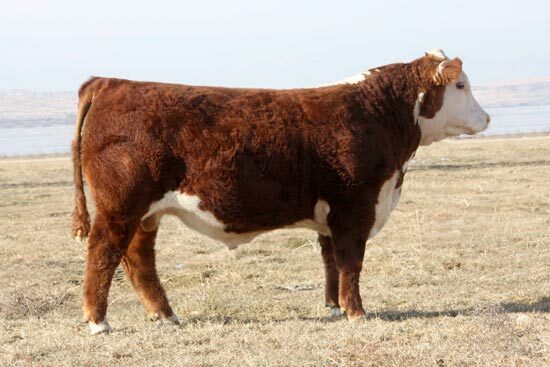 Lot 68 - C Notice Me Maxium 1206 ET by Golden-Oak 4J Maxium 28M to GKB Cattle Co, Waxahachie, TX, $20,000. 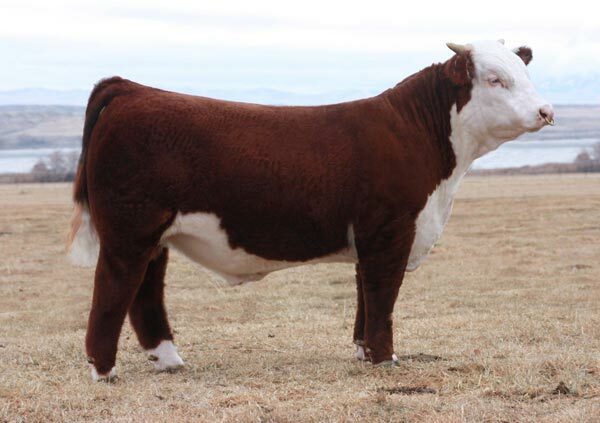 Lot 34 - C Bismarck 1107 ET by TH SHR 605 57G Bismarck 243R ET to Brumley Farms, Orovada, NV, Split Butte Livestock, Minidoka, ID, and Schohr Herefords, Gridley, CA, $19,000. Lot 56 - C 860 Notice Me 1164 ET by CL 1 Domino 860U ET to Rogan Farms, Rogersville, TN, $15,500. 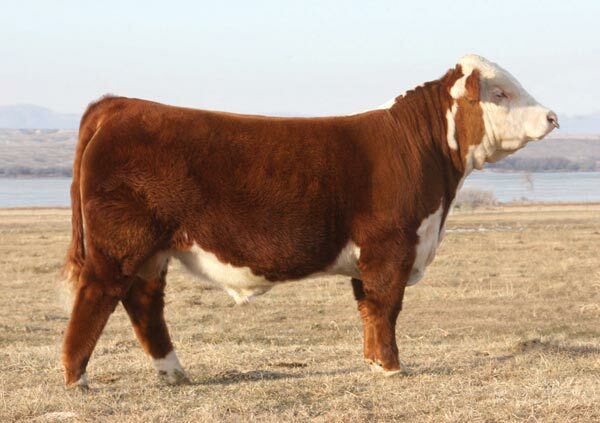 Lot 60 - C Nitro 1176 by UPS TCC Nitro 1ET to Sonoma Mountain Herefords, Santa Rosa, CA, $10,000. Lot 19 - C Nitro 1068 by UPS TCC Nitro 1ET to GKB Cattle Co, Waxahachie, TX, $10,000. Lot 31 - C 0112K Bismarck 1092 ET by TH SHR 605 57G Bismarck 243R ET to TI Ranches, Lamoille, NV, $8,500. Lot 32 - C 0112K Bismarck 1095 ET by TH SHR 605 57G Bismarck 243R ET to TI Ranches, Lamoille, NV, $8,500. Lot 20 - C Chanel's Nitro 1070 ET by UPS TCC Nitro 1ET to Robert Spaulding, Villa Ridge, IL, $8,250. Lot 3 - C Notorious 1013 by C Notorious ET to Newbold Farms, Oblong, IL, $8,000. Lot 36 - C Bailout 1112 ET by TH 75J 243R Bailout 144U ET to Robert Spaulding, Villa Ridge, IL, $8,000. Lot 78 - C Notice Me Outcross 1233 ET by Golden Oak Outcross 18U to GKB Cattle Co, TX, $8,000. Lot 151 - C MS Bailout 1282 ET by TH 75J 243R Bailout 144U ET to GKB Cattle Co, $6,500. Lot 135 - C Bailout Lady 1124 by TH 75J 243R Bailout 144U ET to GKB Cattle Co, TX, $5,500. Lot 141 - C 860 Domino 1162 by CL 1 Domino 860U ET to Jonita, Sommers, Pinedale, WY, $4,750. Lot 145 - C 860 Lady Dom 1193 by CL 1 Domino 860U ET to Elm Tree Farms, Paris, KY, $4,000. Lot 137 - C Lady Nitro 1139 by UPS TCC Nitro 1ET to Elm Tree Farms, Paris, KY, $3,250. 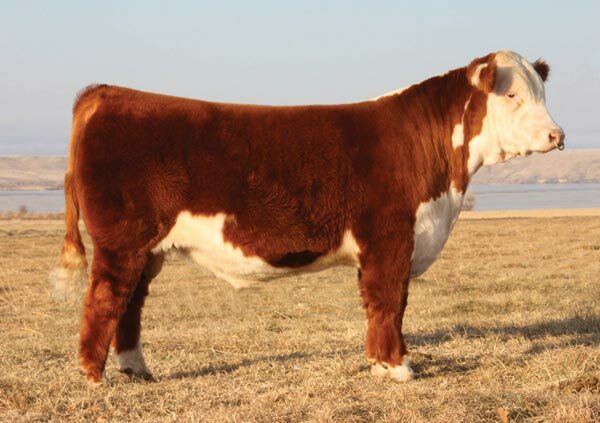 Lot 131 - C Lady Harland 1010 by C Harland Too ET to Sonoma Mountain Herefords, Santa Rosa, CA, $3,000. Lot 133 - C Lady H2 1031 by C Harland Too ET to Jonita, Sommers, Pinedale, WY, $3,000. Lot 211 - CCC Aberdeen 1101 by TC Aberdeen 759 to Flying X Angus Ranch, Elko, NV, $9,800. 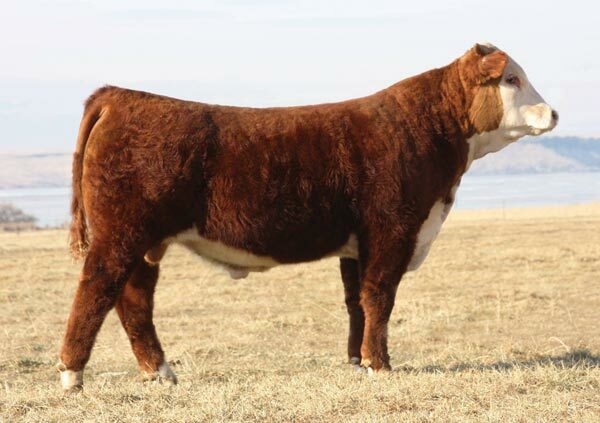 Lot 183 - CCC X Factor 1034 by Vermilion X Factor to LG Davison & Sons, Mountain Home, ID, $8,500. Lot 167 - CCC Thunder 1007 by Connealy Thunder to Tom Davis, Elkton, SD, $6,250. Lot 201 - CCC X Factor 1075 by Vermilion X Factor to Wilson & Wilson, Hammett, ID, $6,250. Lot 152 - CCC Pioneer 0079 by SAV Pioneer 7301 to Tim Hill, Buhl, ID, $6,000. Lot 181 - CCC X Factor 1031 by Vermilion X Factor to Don Capon, Kimberly, OR, $6,000. 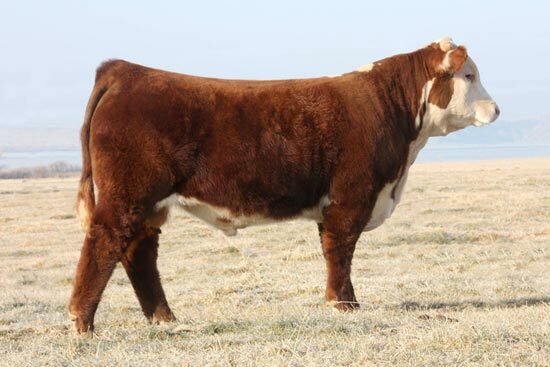 Lot 231 - CCC Lookout Lady 1092 by BC Lookout 7024 to Kevin Tomera, Spring Creek, NV, $3,500. Lot 226 - CCC Thunder Lady 1022 by Connealy Thunder to Amelia Spratling, Deeth, NV, $3,000. Lot 227 - CCC Lady Bismarck 1061 by SAV Bismarck 5682 to Bethany Enos, Cambridge, OH, $3,000.